Vedic civilization stands on three core foundations: ® The seat of knowledge and philosophy that preserves the Vedic wisdom e.g. Mahanirvani Peetha, Madurai Adeenam. ® Sacred Arts and Architecture e.g. temples, kingdoms. ® The seat of language – the perfect, most refined linguistic expression of the Truth. e.g. Kashi in North India (Samskrit) and Tamil Sangam in South India (Tamil). Whenever there comes danger to any of these core foundations, the All-knowing Spiritual Seat of Knowledge or Sarvajnapeetha, through its presiding Master, descends as the ‘Jagadguru’ to revive, protect and radiate Sanatana Dharma or Hinduism for the whole of human civilization. India is the Guru, Spiritual Master to the whole world and the next big leap for human civilization started in 1978 with the advent of rare living incarnation Paramahamsa Nithyananda. His Holiness Paramahamsa Nithyananda is the reviver of Sanatana Hindu Dharma and architect of the new enlightened civilization. He is recreating the original space of Naimisharanya from the spiritual seat of Sarvajnapeetha. 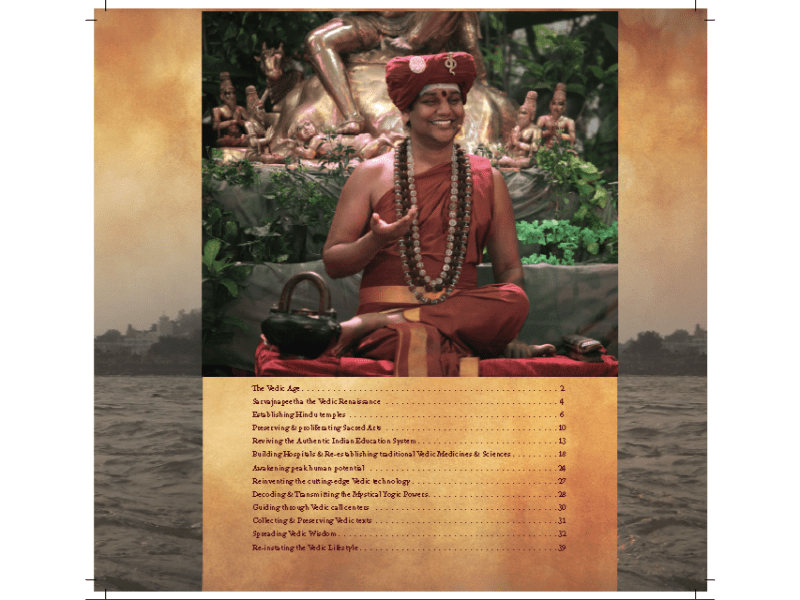 The voice of the Truth that vibrated in the Ganges-Sarasvati civilization in the Vedic times, can be heard through the divine vision and expressions of Paramahamsa Nithyananda. 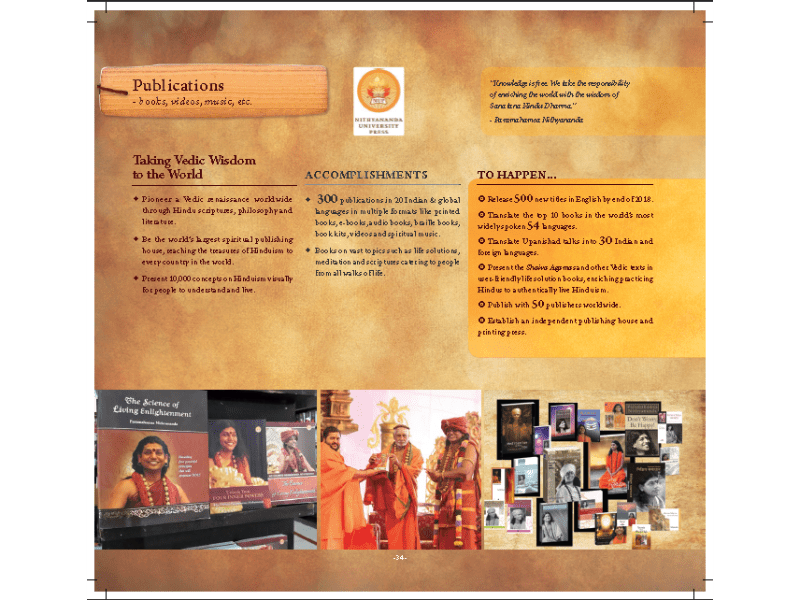 The Vedic Renaissance is happening in all its originality, depth and expanse to enrich human beings to reclaim the Vedic heritage and reconnect with their higher self.